Allright, this game. This piece is… weird. The combination of Until Dawn and a rollercoaster? Think that for a while, the game itself tells story of group of young adults at mountain in a huge lodge. There is a murderer amongst them and they need to survive the harsh environment and of course the murderer. Now think of a rollercoaster… see what I mean. The combination is very unique and I don’t know if it’s a good or bad thing. What I’ve seen around internet this Rush of Blood have very bad reviews. I don’t know if I’m gonna join them or not. We’ll see ’bout that. Like I said my first impression is mixed… like a cucumber and coffee, don’t mix together well. When I first played Rush of Blood it was a demo of it and it was truly jumping scary since the game was full of jump—scares. It was also kinda freaky in some points and it made me uneasy. But last month Rush of Blood was free to all PS Plus members and of course I downloaded the game right away. I don’t usually review free games unless it is DLC or some other part of the game, but never full game for free since it gives away the feeling of BUYING and SPENDINDG money. So my truly feelings might get lost since the game was “free”. I have made an exception for one game and it was Bound that I was given for “free”. I try to fight back and make believe that I have bought this game… and in fact I have but not in the usual way. So let’s say I have spent full money for this piece!! This game can be played with DUALSHOCK4 —controller or Move —controllers but I don’t own any Moves so I played this with normal controller. In very beginning you’ll need to calibrate the controller and it is easy; the game tells you to put your hands forward and press X. I put my hands little bit lowers since I knew I can’t keep them forward very long so it was easier for me to let my hands lean on my knees. In this rollercoaster —game you cannot move. You can move but only your arms, you can’t walk or go to any direction. You have to sit tight and you have two arms that both have a gun. You can adjust how much apart the hands are but that’s it. The rest is you to pointing the guns and shoot whether left or right guns. What I did was to put the ‘apartion’ very close together and and shot with both hands at the same time so I would hit the target more precisely. Then of course you’ll need to load the guns as well. You can’t shoot aimlessly without loading, no—’oh. The guns overheat and you need to load them and you have to or can to load them separately. The aiming is very good actually. I haven’t played that much games where I need to point with the controller but I have some. I don’t like that much of moving my hands while I play I like more just use the controller the old—school way. But I can imagine one huge difference this game with Move —controllers; you can aim back/backwards and more out of the rollercoaster since the light of the DUALSHOCK4 —controller can’t be recognized that much when it is sideways. The PS Camera can read the light very accurately but the main problem isn’t that, it is the image quality of the PSVR. It is difficult to see far—away —objects. This game is very fast phase and if you wait some object to come closer so you can look at it and make your decision that do you wanna shoot at it — it’s already too late. The cart is past the point and you DUSLAHOCK4 can’t be point backwards and hardly sideways. So I would say it is unfair or at least the game is more difficult to non—Movers. The beginning is ominous. Let say that. Let say the whole game is weird. The whole concept it weird, goddamn it!! What would you expect to see very first when starting this game? Not at least to a ringmaster —dressed like psychiatrist? Well expect that, because there is. The psychiatrist from Until Dawn —game has a new job. He was fired and now he is a ringmaster. And only difference in this is his payment. He’s odd. I have never ever figured out he’s motives to EVERYTHING and not in this rollercoaster game either. Anyway he will guide you through the beginning of the game and the tutorial also. Point, shoot, load, change weapon and do it all over again. I have become to conclusion that this is just a theme. This doesn’t happen anywhere nor anytime. This is just a concept that is taken from one game to other and it has nothing to do with each other than the theme. The psychiatrist tell something about a gas that when breathe you will start to see things that ‘aren’t there’ as he said. So is he there? Is anyone here? Sounds are good. And you can imagine to have lots of jump—scares with LOUD SOUNDEFFECTS. Or something else with SUDDEN LOUD NOISES!!! PSVR uses 3D—sound and that works well. The sounds are sometimes super scary; a girl is whispering into your ear or the sound of crushing meat or squirming pigs or door screeking. The sounds are pretty much as you would imagine them to be; scary and disgusting. There isn’t much to do except sit tight and shoot. Even thought you might think it’s safe in this cart but — you can die. At first you shoot passive objects in the background and then there becomes a moving enemies that will come eventually to your cart and start to hit you. The point here is to shoot them before they even come close. Even couple hits might kill ya. You can collect different kinds of weapons; barrel shotgun, revolver, machine gun for an example. And they have, of course, different type of effect on enemies. This game have 7 different concept of levels but the main thing here is the same. I wanna tell all the things you can do in this game other than shooting. There is many times obstacles that you’ll need to avoid by moving your head. Sometimes even all the to the couch cushions! You can choose the way to go by shooting a railroad lever, sometimes it is too fast gone that it takes multiple times to hit it. There is also secrets that I didn’t find but I heard there is. You’ll need to shoot certain things and they will give you something extra. 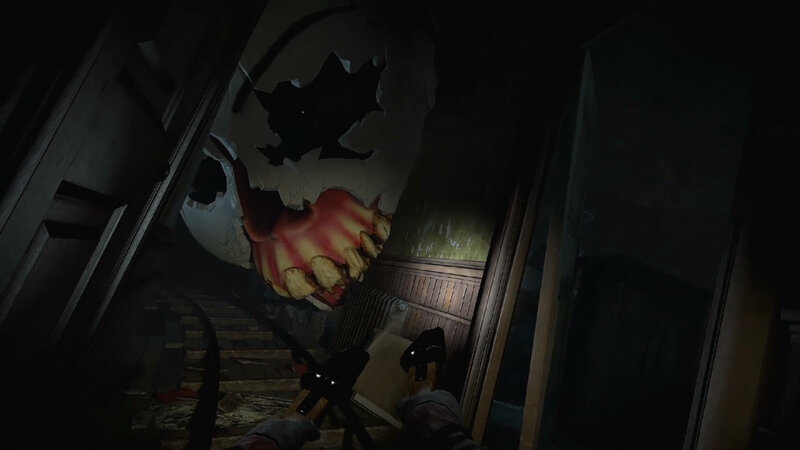 The most difficult part of the game is collecting everything by shooting them and enemies when they come all together and the main enemy the Psycho (the murderer from the main game). You have to beat him many times throughout the game and sometimes it is easy and sometimes not or you have to figure out the way to do it without just directly shooting at him. 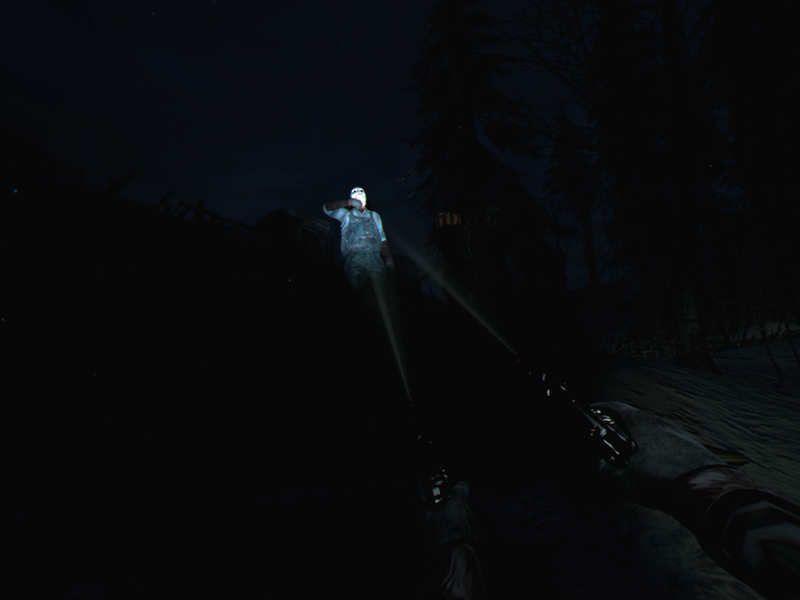 The game is overall very dark, almost black. Only light is from your guns that have two flashlight in them and of course the fain light of the backgrounds of the amusement park. The darkness umphs the fear level but sometimes it is even too dark and the flashlights won’t help much. I think the whole gameplay is now in package and that’s that. I dunno about this game. It’s so odd all together. 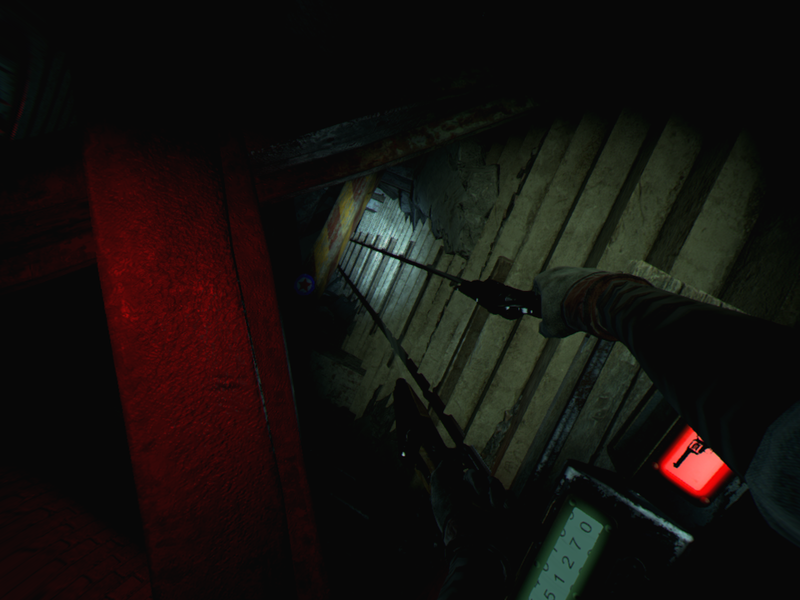 Like I said in the beginning the equation of the Until Dawn and a rollercoaster is weird. 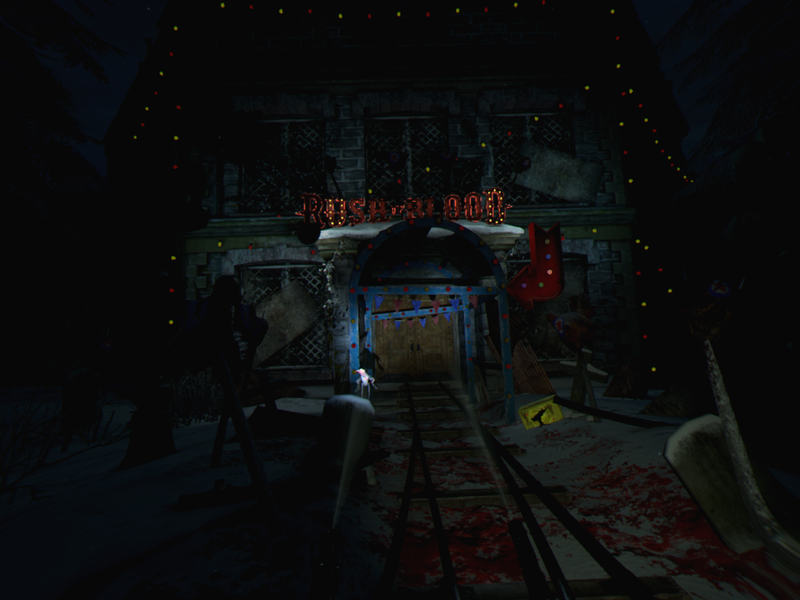 Of course if I would’ve made a another game of the Until Dawn I would’ve taken it to the amusement park. Some teens gets trapped there and murderer is on the loose. But put it literally as in the rollercoaster wasn’t what I would’ve expect. If I would say, this game is some kind of PSVR —demo. Well part of this is in PSVR demo 1 but what I meant was that this is surely just demo for the concept of PSVR and what the gadget can do. Think it like there would be an new Resident Evil —game and they build a scary madhouse you to experience the horror. That kind of thing but it is in game format. 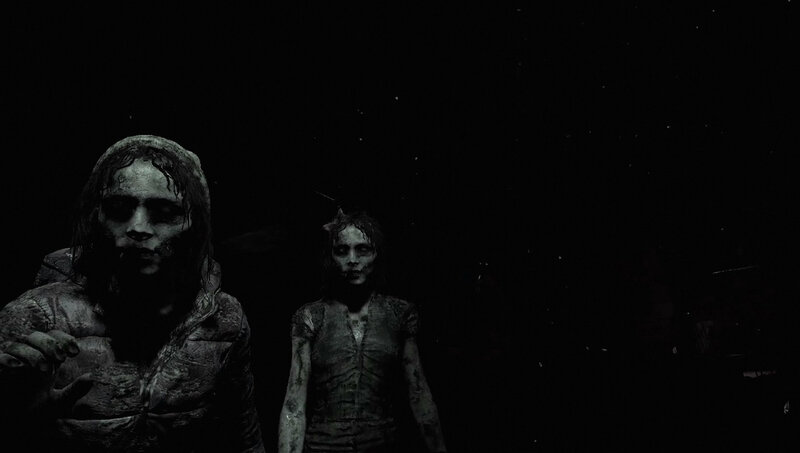 Until Dawn: Rush of Blood lacks of artistry. Like I said in my previous review that jump—scares are cheap. They are very cheap and this game is full of them. Real fear is made by ingenuity. Creating something totally new or using something used in a new creative way. This whole game is huge let down, waste of time and maybe someone who is easily frightened or don’t know nothing about today’s games can be using this since they don’t know better. That’s the sad truth. Overall this is not my favourite game at all even thought it made me feel that I was really on the rollercoaster sometimes. I felt so dizzy and those falls took me out of breath!! If someone asks me that if I would play another level of this I would say: No thank you. And pass my ride ticket to someone else. Pingback: All posts – "Game over? Phlease!"